The post The Scoop on Black Currant, Evening Primrose and Borage Oils for Dogs by Diana Laverdure-Dunetz, MS appeared first on Dogster. Copying over entire articles infringes on copyright laws. You may not be aware of it, but all of these articles were assigned, contracted and paid for, so they aren’t considered public domain. However, we appreciate that you like the article and would love it if you continued sharing just the first paragraph of an article, then linking out to the rest of the piece on Dogster.com. Let’s continue our “know-your-oils” theme from last issue by diving into three other interesting dietary oils: borage, black currant and evening primrose. 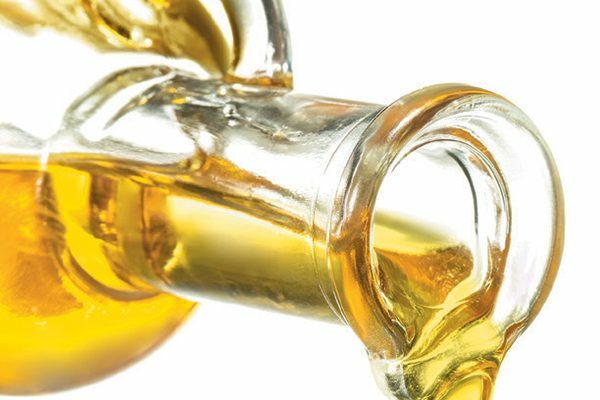 These oils are prized for their high levels of gamma-linolenic acid (GLA), an omega-6 fatty acid. Let’s take a closer look at GLA, its benefits and the three dietary oils that offer the highest levels for your dog’s health. Is GLA right for my dog? GLA stands for gamma-linolenic acid, an omega-6 fatty acid. Photography ©alexei_tm | Getty Images. GLA is not considered an “essential” fatty acid for dogs because to some degree it can be converted from linoleic acid; however certain factors such as a dog’s age and health status can impair the body’s ability to make this conversion. Since the level of GLA found in foods is negligible, it is typically consumed as a dietary supplement. In general, the Standard American Diet (SAD) and what I call the Standard American Dog Diet (SADD) — note the acronyms! — are overloaded with omega-6 fatty acids, which causes an imbalance in the omega-6 to omega-3 fatty acid ratio. This is important because while omega-3 fatty acids are anti-inflammatory, omega-6 fatty acids are pro-inflammatory at high levels, and all chronic diseases have an underlying inflammatory component. Interestingly, although GLA is an omega-6 fatty acid, it possesses strong anti-inflammatory benefits that work through a variety of mechanisms in the body. For example, GLA interferes with the body’s breakdown of arachidonic acid, an essential omega-6 fatty acid that is pro-inflammatory at high levels. When the body ingests GLA, it quickly converts it into dihomo-GLA or DGLA. DGLA intervenes with enzymes that break down arachidonic acid, preventing these enzymes from turning arachidonic acid into pro-inflammatory signaling molecules. Instead, the enzymes break down DGLA into anti-inflammatory products. GLA also works via other mechanisms in the body that control the inflammatory process. I find that GLA is especially useful for my canine clients with dry skin because it helps to restore the skin’s moisture barrier and prevent water loss. In fact, dry skin has been associated with low levels of GLA in both people and animals. Now that we understand the potential health benefits of adding GLA to your dog’s diet, you might be wondering which oil to select — black currant, evening primrose or borage. Black currant is packed with healthy antioxidants and phytochemicals. Photography ©GlobalP | Getty Images. 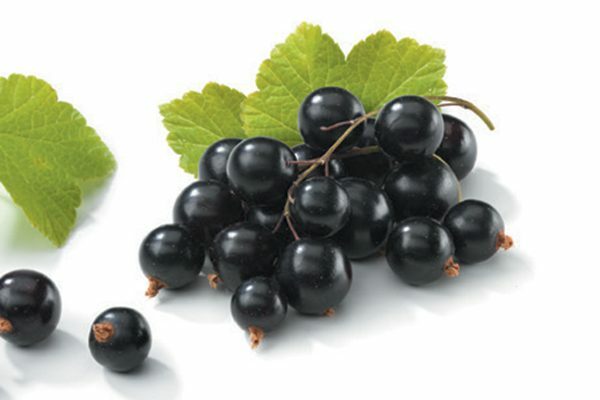 Black currant (Ribes nigrum) is a woody shrub native to northern Europe and Asia. The shrubs produce a deep purple-colored berry packed with healthy antioxidants and phytochemicals. It contains 15 to 20 percent GLA and is also rich in the essential omega-3 fatty acid, alpha-linolenic acid. Evening primrose gets its name because the petals bloom at night. Photography ©GlobalP | Getty Images. 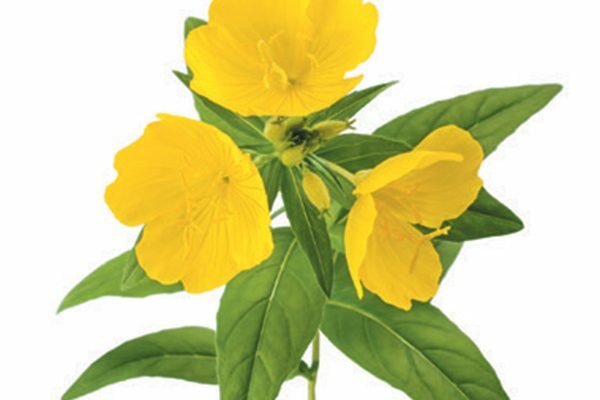 Like the borage plant, evening primrose (Oenothera Biennis) is an edible herb used for medicinal purposes. Native to North America, it is a biennial plant with bright yellow petals. It gets its name because the petals bloom at night. Evening primrose oil is comprised mostly of linoleic acid (72 percent), with about 13 percent of its fatty acid content made up of GLA. Borage has more GLA than any other oil. Photography ©GlobalP | Getty Images. Although borage oil contains the highest levels of GLA, I do not recommend it because it might contain pyrrolizidine alkaloids, which are toxic to the liver. Instead, I choose to use caution and opt for either evening primrose or black currant oil. Borage oil is manufactured from the seeds of the borage plant (Borago officinalis), an annual herb native to the Mediterranean but has also been naturalized in other parts of the world, including North America. 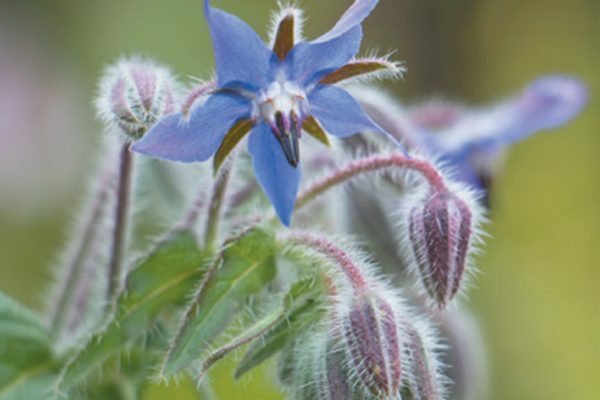 Borage is also known as Starflower due to its beautiful blue, edible, star-shaped leaves. You may have even seen candied borage leaves as decorations on designer cakes. Borage has more GLA than any other oil, at 20 to 26 percent of its total fatty acid content. Recommended dosages for GLA vary widely. In the 2009 report Safety of Dietary Supplements for Horses, Dogs and Cats, the National Research Council (NRC) of the National Academy of Sciences lists the “historical safe intake” for evening primrose oil at 42 mg to 424 mg per kg of the dog’s body weight daily, or 19 mg to 192 mg per pound of body weight. The historical safe intake is the amount shown to be safe with prolonged use in both domestic and wild animals. The higher dose represents the upper limit used in trials. For routine use of both evening primrose and black currant oil, I opt for a conservative dose of 20 mg per pound of body weight daily. A 10-pound dog would consume 200 mg daily, a 50-pound dog 1,000 mg daily and an 80-pound dog 1,600 mg daily. Consult with your holistic veterinarian prior to giving doses. GLA can cause digestive upset in some dogs, including diarrhea and gas. Dogs prone to seizures should not consume GLA, as it has been shown to lower the seizure threshold and potentially interact with anti-seizure medication. It may also slow blood clotting, so dogs with bleeding disorders or on medications that slow clotting should not take GLA. If your dog is going to have surgery, including a dental procedure, discontinue GLA at least two weeks prior to the procedure. GLA and the oils that contain it are natural substances, so don’t expect a “quick fix.” Give it at least six to eight weeks before you assess whether your dog is receiving the desired results. Also, give GLA in combination with a high-quality omega-3 fatty acid supplement to provide the proper balance of fats. Thumbnail: Photography ©UserGI15966731 | Getty Images. Diana Laverdure- Dunetz, MS, is a canine nutritionist and co-author, with W. Jean Dodds, DVM, of two books, including Canine Nutrigenomics: The New Science of Feeding Your Dog for Optimum Health. Their online course, Complete Canine Nutrition, can be found at myhealthydog.dog.